Changzhou Growell Garden Products Co.,Ltd.is a specialist manufacturer in the production of aluminium hobby greenhouse kits in China,located in Changzhou,Jiangsu Province.With a total investment of RMB 5 million,We are accredited with ISO9001:2008 quality management system and BSCI certification and CE certification.Our business scope is to produce all kinds of greenhouse and accessories,gardening tools,outdoor fittings,metal products etc.Most of the products are exported to the European and USA markets. quick delivery Changzhou Growell Garden Products Co. Ltd. is a specialist manufacturer in the production of aluminium hobby greenhouse kits in China, Located in Changzhou, Jiangsu Province. With a total investment of RMB 5 million, We are accredited with ISO9001:2008 quality management system and BSCI certification and CE certification. Our business scope is to produce all kinds of greenhouses and accessories, gardening tools, outdoor fittings, metal products etc. Most of the products are exported to the European and USA markets. We started to produce hobby greenhouses in 2002. Over the years we have developed thirty-three different series, such as walk-in ,lean -to, cold frame series etc, totalling some six hundred different models.Plus, there is a huge range of quality accessories, such as staging and shelving, louvre windows, casement stays and pins, auto window openers and shading screen systems.Over a period of more than a decade, Growell has accumulated a high level of experience in the greenhouse field. We pride ourselves in our professionalism, attention to detail and quality control. If you have specialist requirements, we are also able to discuss customising products for you in order to meet the exact requirements of your market -This we can do in conditions of the strictest confidence and security of designs.With a product as complex as a greenhouse (with hundreds of components) its is vital that every detail is accurate. Our Company motto encompasses this:'Details determine whether you will succeed or not'. We always pay attention to every detail and strive to improve our quality continuously. 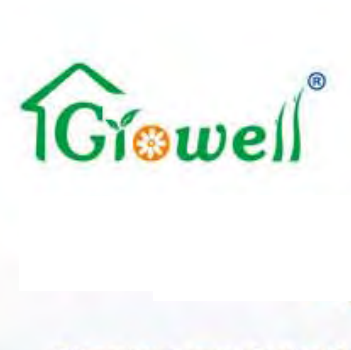 The goal of Growell company is to produce modern, quality products with enthusiastic and highly professional service.